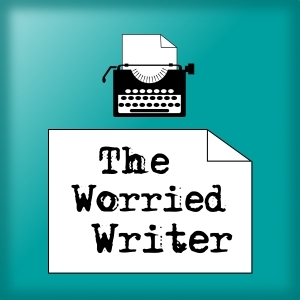 I run a free monthly podcast called The Worried Writer. There’s a new episode at the start of each month and guests so far have included C.L. Taylor, Julie Cohen, Miranda Dickinson, Catherine Ryan Howard and Mel Sherratt. Most writers I know create their work despite being worried, anxious or distracted, and I thought it might be useful to talk about those things in an open and supportive way. The podcast is stuffed with advice to help you overcome self-doubt, fear and procrastination, as well as the reassurance which comes from knowing you are Not Alone. In every episode, I grill an author (nicely!) about their own creative and psychological battles, bringing you their top tips for getting the work done. Episode back-list, shownotes, and other resources are available at www.worriedwriter.com or you can subscribe in iTunes or Stitcher (or your preferred podcast app). For more of my thoughts on writing and publishing, you can look through the relevant posts on this blog here. Ah-hem. My own book about writing. Getting my writing done is always a struggle over fear, self-doubt and procrastination. Over the years, I have changed my thinking, and developed tricks and strategies which have transformed my creative life. Stop Worrying; Start Writing is packed with my own hard-won advice and tips from some of my wonderful podcast guests. This book got me started on my first novel and, perhaps more importantly, encouraged me to keep going and actually finish the damn thing. Put writers together and sooner or later I guarantee this book will come up. It’s beautifully written, encouraging, kind and wise. I’ve lost count of the number of times I’ve read this book. *These are affiliate links, but I will only recommend things I genuinely love/have found useful.